A leave-in treatment for oily scalp formulated with sage for its antiperspirant properties, horsetail plant with mineral-replenishing action, plant-derived trace elements and amino acids. Helps reduce the appearance of excess sebum, tones the scalp and gives body and shine. 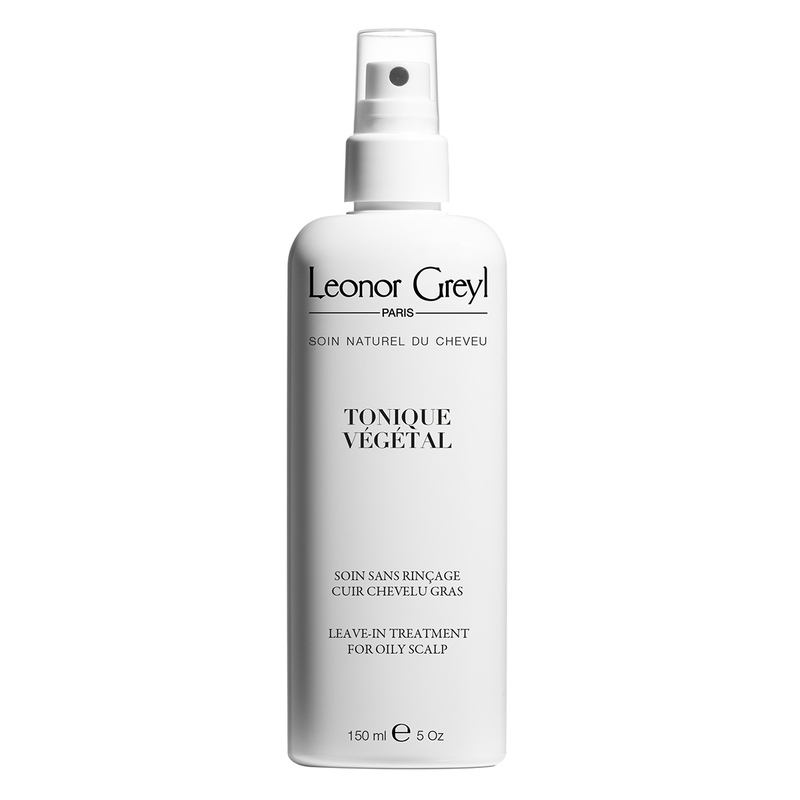 Even though I really love Leonor Greyl products, they have to be appropriate to one’s scalp and hair type. Tonique végétal has not worked for me because I do not have dandruff. I have dry, fragile, and fine hair but an often itchy scalp that gets oily very soon and develops sore bumps that may be folliculitis or HPV1 (both antibiotics and antiviral drugs make a difference). Yet I was recommended to use the tonic–it does not help. The TS shampoo sample, AMONG OTHERS, appears to have proved beneficial. The oils definitely. So: For the right kind of scalp and hair I am convinced this tonic will be great, but not for mine. This leave-in treatment for oily scalp cured my oily hair problem! Now my hair looks cleaner and is much easier to take care of. After shampoo, condition and towel dry, spray product evenly on the scalp strip by strip. Hairstyles will last longer! In 1990, Jean-Marie Greyl took another look at oily hair types and came up with a product that would regulate oily scalps throughout the day. The concept of a no-rinse mist emerged as the natural solution. And alcohol-free sage- and horsetail-based formula soon proved its worth. The practical spray formula significantly improved oily scalps by restricting sebum production. And another welcome effect was its smoothing action, resulting in bounce and volume.